A bicyclist was struck by a hit-and-run truck in Midtown. 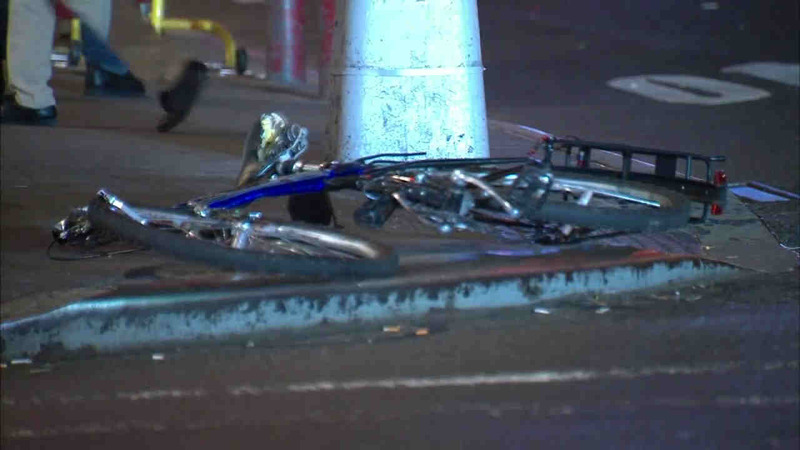 MIDTOWN, Manhattan (WABC) -- A bicyclist was struck by a hit-and-run truck in Midtown. According to the New York City Police Department, victim was hit on West 40th Street, at Eighth Avenue, just before 4:30 a.m. The vehicle left the scene and the incident is being investigated. The bicyclist had been southbound on Eighth Avenue, while the truck was eastbound on 40th. The bicyclist was taken to Bellevue Hospital in critical condition with a serious injury to his left leg. He is stable. NYPD closed both West 40th Street and Eighth Avenues for the investigation.